Imagine you’re transported into an anime world and have to fight some nasty villains (of course, I’d look like the Chibi Crow on my banner in an anime world — not exactly intimidating!). Given the opportunity, here are 5 female anime characters I’d choose to fight beside me. * Of course, they could bring along their equipment and weapons. Note that these are women who typically fight for positive things like justice, honor, friends, or generic goodness. Fikatsia Latrova combined strength, insight, and compassion — and a relentlessness to triumph. Capture from the Crunchyroll stream. Series: Muv Luv Total Eclipse (collection 1 and collection 2 are available from Amazon). In the Muv Luv universe, Soviet Russia never fell because really nasty intra-dimensional creatures invaded Earth. Fikatsia Latrova is the Commander of the 211th Zhar Battalion, which is made up of flying Soviet mechs. Constantly on the front line, they’re subject to a horrific casualty rate and they’s always pawns in the Soviet political games. She’s on this list because she embodies everything a warrior should be: she’s strong. She’s fierce in her devotion to her people. She’s undaunted in combat, stern when it’s required, and compassionate when it’s needed. She’s also honest in a way that only people who deal with death daily can be. She also knows how to cut her losses. She knows that she can’t win every battle; she knows that her card will eventually come up. So, she makes sure she knows exactly what she’s fighting for. You can watch Muv Love Total Eclipse on Crunchyroll. Series: Terra Formars (episodes 1-13 plus two OVAs are available from Amazon). I’m not sure I’ve ever encountered a world more bleak than the one depicted in Terra Formars. Without getting into the details, something went dreadfully wrong with manned missions to Mars, and now humanity’s trying to deal with the consequences. Michelle K. Davis is part of the team that went back to Mars, and to do so, she had to undergo surgical and genetic manipulation. 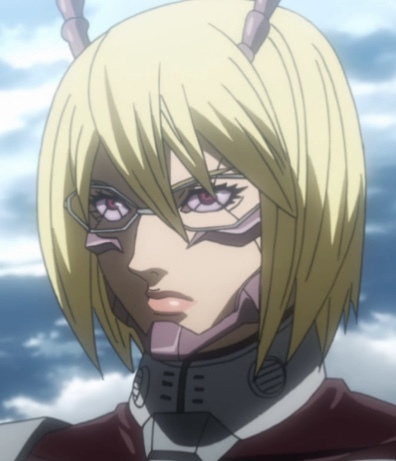 The idea behind Terra Formars is that humans have to add characteristics of Earth’s predators in order to survive. Michelle has taken on the abilities of the Paraponera, an ant with incredible strength and endurance. Those abilities alone wouldn’t get her onto this list. Before she went to Mars, hatred for the menace living there drove her. When she arrived with her team, though, she quickly understood something basic yet vital: the team was all she had; they only had each other. They could only rely on each other, and she was the strongest in her team. So, she made it her personal mission to protect everyone. And protect them she did. Despite engaging a determined and brutally efficient enemy, she didn’t back down. Applying her considerable strength and cunning to the mission of protecting her people earned her a place on this list. You can watch Terra Formars on Crunchyroll. 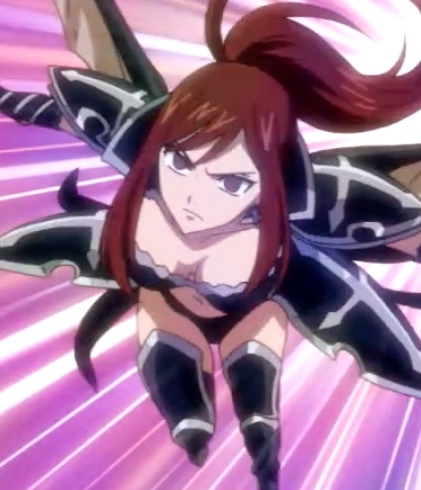 Erza can equip and re-requip her armor as the fight demands. She is absolutely relentless. Capture from the Funimation stream. Series: Fairy Tail (Collection 1, Collection 2, Collection 3, Collection 4, and Collection 5 are available from Amazon). Confession time: I’m a recent Fairy Tail convert. As in just a month ago. Erza Scarlet is a wizard with amazing power (S-class, the highest). In early episodes, other characters were scared of her, saying she could destroy one, two, or more mountains if she put her mind to it. She uses a type of magic that allows her to switch armors to match the kind of fight she’s in. Of course, as we’ve already established, might alone isn’t enough. Erza’s sometimes known as a disciplinarian. I think that’s fair, but incomplete: she understands the need for clarity of command in battle. She understands the need for discipline. When she sees someone acting like they don’t understand those things, she — sometimes forcibly — corrects them. Why? Why wouldn’t she just leave them to their own devices? Because she doesn’t want to attend their funeral. She cares about her comrades, and I think she expresses that concern as a strict adherence to her code of conduct. That concern, intertwined with her power, is why she’s on this list. Fairy Tail is streaming on Funimation. 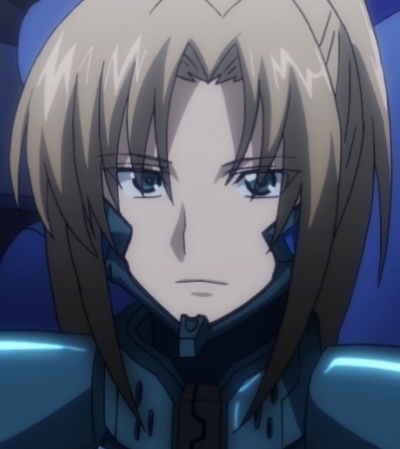 Asuna, as second in command of the Knights of the Blood Oath, wielded personal and organizational power. Capture from the Crunchyroll stream. Series: Sword Art Online (Part 1 or episodes 1-7 and Part 2 or episodes 8-14 are available from Amazon). Note that the Asuna I’ve chosen is from the first half of first season of Sword Art Online version; or maybe the Rosaria arc in the second season. I don’t want to spoil anything if you haven’t seen the series yet, but you’ll see a different Asuna in the second half of the first season. I don’t want to sound judgmental, but I have a hard time forgiving the writers for what they did to Asuna in the second half of the first season. 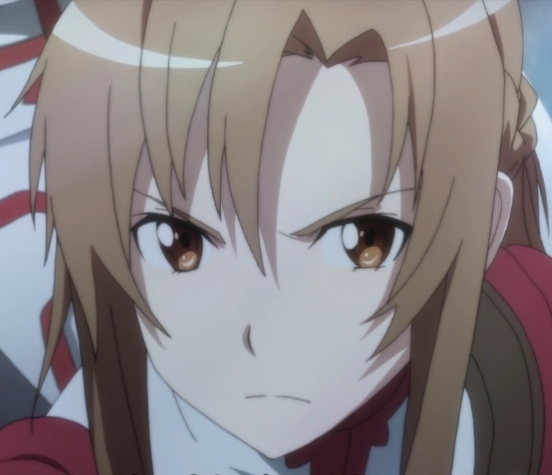 Asuna began her tenure in Aincrad as a solo player. Within five episodes, she was second in command of the Knights of the Blood Oath, one of the largest and most powerful guilds in the world. She was level-headed, intelligent, and devastating with her rapier. She’s in this list for a couple of reasons. First, she rose in the ranks of one of the most powerful, forward-deployed guilds in the Aincrad in a time when dying in battle mean really dying. She planned battles, participated in them, and did what she had to do to defeat the world so she and everyone could go home. Second, despite the horror of being trapped in an unfair artificial world, she never lost her humanity. She developed her skills and her strength, she built on her abilities to effect change and defeat enemies, all the while maintaining her ability to cultivate relationships with people like Lisbeth and while trying to develop the potential in people like Kirito. She kept her humanity in a world designed to destroy it. And she managed to become stronger and stronger until she became one of the people who broke Aincrad and helped everyone return to the real world. Those are characteristics I’d look for in someone I’m fighting beside! You can watch Sword Art Online streaming on Crunchyroll. Traveling through despair and arriving on the other side ready for combat is an amazing power. Capture from the Funimation stream. Series: A Certain Scientific Railgun, A Certain Scientific Railgun S, A Certain Magical Index, and A Certain Magical Index II (Follow these links to buy A Certain Scientific Railgun, A Certain Scientific Railgun S, A Certain Magical Index, A Certain Magical Index II Part 1, and A Certain Magical Index Part 2 from Amazon). Misaka is probably the youngest character here, but I suspect she might be the most powerful. After watching season 2 of A Certain Scientific Railgun (a.k.a. 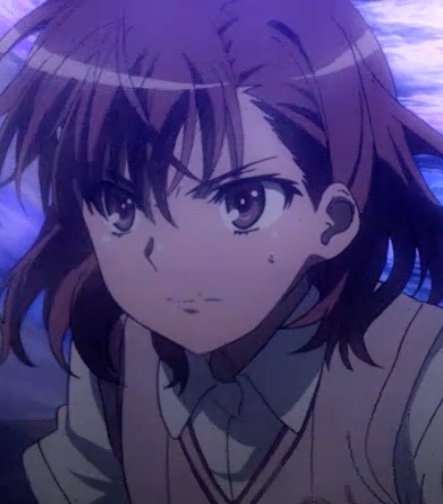 A Certain Scientific Railgun S), and seeing the abject despair into which she first descended and then transcended, I’m not sure anyone else in this list could have followed her and emerged as intact as she did. That being said, Misaka has a blind spot: she’s too quick to condemn herself. She takes on too much responsibility, and she cannot fathom that her friends and others who love her want to help. She accepts responsibility to the point where she was willing to die based on her understanding of the situation and based on her desire to save her sisters. She saw no other way out, and instead of wringing her hands and bemoaning her fate, she plunged forward. You may think that Kamijou Touma’s role in saving her life would diminish her strength and determination. Not in my estimation. Why? Because he didn’t save her through strength; he saved her through weakness. His weakness — his level zero-ness — helped frame her power and dedication to her sisters. When he gave her every opportunity to stay away from the final battle with Accelerator, even though she was emotionally exhausted, what did she do? Did she stay away? No. She decided to confront the danger. That decision, and the strength she brought to the battle, are why I’ve included her in this list. A Certain Scientific Railgun is available to watch on Funimation. * It’s a malicious and untrue rumor that I’d hide behind these women for safety. That’d be cowardly. I like those choices! I haven’t seen much about Yomiko Readman — you find the most interesting shows! I’ll have to look it up. Thanks! Read or Die is such a fun anime. Yomiko’s powers of turning paper into weapons, shields, and even vehicles which is awesome.